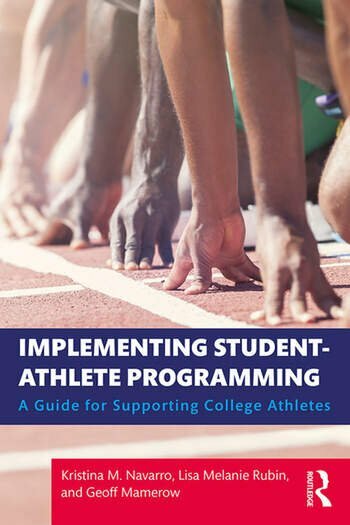 In Implementing Student Athlete Programming, scholar-practitioners provide an approachable and comprehensive overview of how to design, implement, and sustain best practices in the growing area of student-athlete development. Exploring research approaches and critical frames for thinking about student-athlete programming while covering topics such as the current context, challenges, programmatic approaches to support, and trends for the future, this resource also highlights programs that are effective in supporting students to success. This book provides higher education practitioners with the tools they need to effectively work with student-athletes to not only transition to college, but to develop meaningful personal, social, career and leadership development experiences as they prepare for the transition to life after sport. Kristina M. Navarro is an Assistant Professor of Professional Practice in the Graduate School of Education and Senior Associate Athletic Director for Leadership Development and Strategic Partnerships at Rutgers University, USA. Lisa Melanie Rubin is an Assistant Professor of Student Services in Intercollegiate Athletics at Kansas State University, USA. Geoffrey Mamerow is Assistant Director of Learning Outcomes Assessment in the Office of Planning and Assessment at The Pennsylvania State University, USA.